The aim of the internet-based World Mayor project, which was launched by City Mayors in January 2004, is to raise the profile of mayors worldwide by honouring those who have served their communities well and have made significant contributions to cities nationally and internationally. Each year the most outstanding mayor is presented with the World Mayor Award. 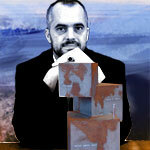 In 2004, Edi Rama, Mayor of Tirana, won the Award. 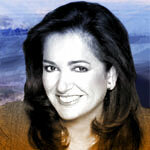 The 2005 winner is Dora Bakoyannis, Mayor of Athens. The World Mayor project has no connection with any city or organisation and is run on strictly non-commercial lines. Sponsorships, advertising, subscriptions, donations or any other kind of revenue source are not sought and will be rejected, if offered. Between January and May each year, the worldwide public is invited to nominate mayors for the World Mayor Award via the City Mayors and World Mayor websites. While City Mayors accepts nominations of mayors from all types of cities, their supporters are asked to provide reasons for their choice. After the close of the nomination stage, the editors of City Mayors prepare a short list of mayors who go forward to the second round of the World Mayor contest. In 2005, the list of finalists included 65 mayors from The Americas, Europe, Asia, Australia and Africa. In the second round, which runs from June to the end of October, the worldwide public is asked to choose - from the short list of finalists - mayors who, in their opinion, deserve to win the World Mayor Award. Each member of the public has five votes. However, they can only vote for one mayor from each of five world regions: Europe, The Americas, Asia, Australasia and Africa. In 2005, some 87,100 people voted in the second round of the contest. With a share of 31 per cent of the total, North America contributed the largest number of votes, followed by Europe with 29 per cent of votes. The share of votes from Asian countries increased from 14 per cent in 2004 to 22 per cent in 2005. The World Mayor contest also became considerably more popular in Central and South America, where the share of votes rose from four per cent to 11 per cent. Voters from Africa contributed four per cent of the total, with the remainder coming from other parts of the world including Australia and New Zealand. In addition to click voting, voters are asked to provide supporting statements outlining why they felt their choice of mayor deserved to win the World Mayor title. When setting up the rules for the project, the editors of City Mayors emphasised that the strength of argument expressed in the supporting statements was as important as the number of votes. By stressing the importance of well-argued comments, the organisers aim to ensure that the contest participants think about the merits of their chosen mayors. The rules also allow mayors from smaller cities to compete on equal terms with mayors from large metropolises. By publishing a selection of comments received from voters across the world on the World Mayor website, the organisers provide a fascinating insight into the achievements of mayors from cities with very different problems. The editors of City Mayors, the organisers of the annual World Mayor project, are very much aware that an outstanding mayor from a city in the developing world requires different qualities from a mayor in Western Europe or North America. The winner of the annual World Mayor Award will therefore never be described as the ‘best mayor’. The list of finalists for the 2005 World Mayor Award included 65 mayors from five world regions. Europe contributed 32 mayors, 19 mayors came from The Americas, nine mayors were leaders of cities in Asia, three mayors headed African cities, while two mayors were from Australia and New Zealand. During the course of the second round a number of mayors resigned from office, including those of Mexico City, Tehran and Karachi. (List of all 65 finalists). The 2005 finalists were all given an opportunity to introduce themselves and their cities by publishing a short manifesto on the World Mayor website. The topic was ‘Making my city more liveable’. The essay could discuss political, environmental, financial, social, transport or indeed commercial developments, which were of benefit to the city as a whole and could be shown as examples for other cities to emulate. Athens Mayor Dora Bakoyannis, the winner of the 2005 World Mayor Award, described in her manifesto the lasting benefits of having successfully staged the 2004 Olympics. She also gave advice to Beijing and London, the hosts for the 2008 and 2012 Olympics. “Don’t waste a single minute. You will need the full seven years to prepare for the Games. Security, funds and organisation are definitely key factors for a good Olympics, but success is all about participation. It is important that the people are directly involved as they are the hosts,” the Athens Mayor explained. Hazel McCallion, Mayor of Mississauga and 2005 runner-up, emphasises in her manifesto the contributions enlightened cities can make to world health. The Mayor is on the advisory board of the WHO’s Kobe Center. Following a trip to Africa, she also set up ‘Hazel’s Hope’, which raises money to help victims of HIV/AIDS in Tanzania. By mid-2005, some half a million dollars had been raised. Álvaro Arzú, Mayor of Guatemala City, who came third in the 2005 World Mayor contest, says in his manifesto that after end of the country’s civil war, which lasted 36 years, the city has now an opportunity to look forward to peace and prosperity. The Mayor provides details of the city’s municipal development plan ‘Guatemala 2020’. Michael Häupl, Mayor of Vienna, stresses in his manifesto the success of life science, creative and communication industries in the Austrian capital. Hilde Zach, Mayor of Innsbruck (Austria), describes in her manifesto how the beauty of her city in the mountains never ceases to amaze locals and tourists. One of Germany’s best known woman politicians, Bärbel Dieckmann, Mayor of Bonn, outlines in her manifesto how the former West German capital transformed itself into a city of dialogue after the government and parliament moved to Berlin, following German reunification. Munich’s Mayor, Christian Ude, writes in his manifesto that one of the “most important projects of my term of office, which began in 1993, is the construction of a Jewish centre in the historic part of the city”. Patrick Ramiaramanana, Mayor of Madagascar’s capital city Antananarivo, expresses his delight in his manifesto that developments in his city are at last being recognised in Europe and North America. The Mayor details the improvements that have been made after the economic chaos caused by years of Soviet-style one party government.